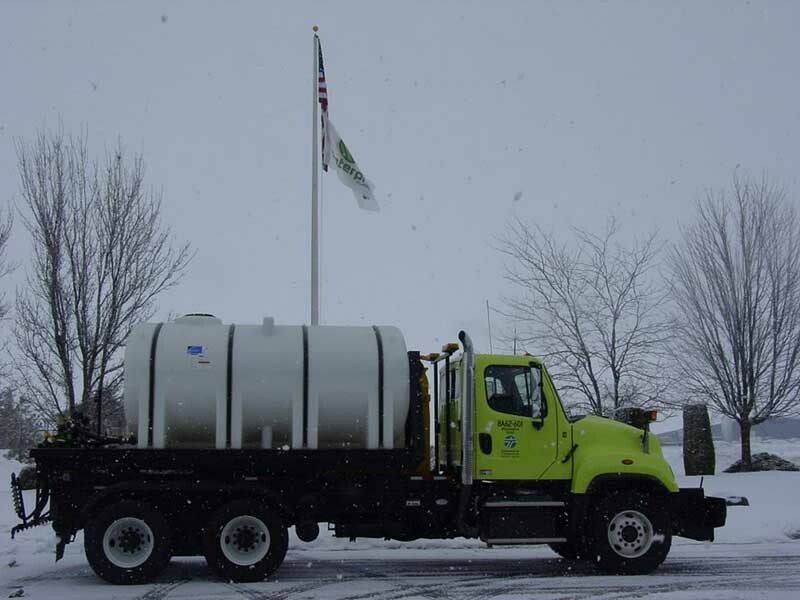 This is a 100 gallon de-ice sprayer that was built for a local university for de-icing their grounds, parking lots, and sidewalks. 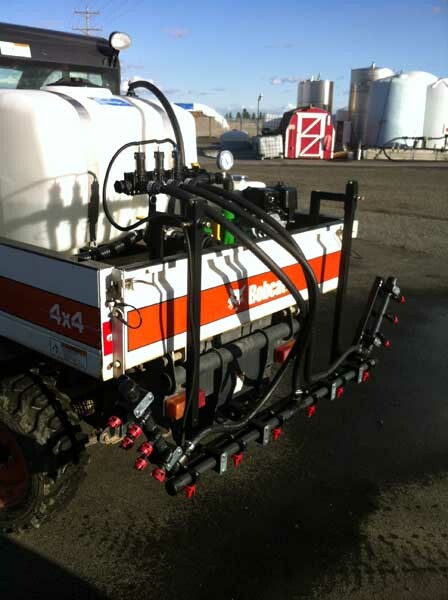 Three boom valves allow section selectability and a hand gun allows for precision sidewalk and door opening application. 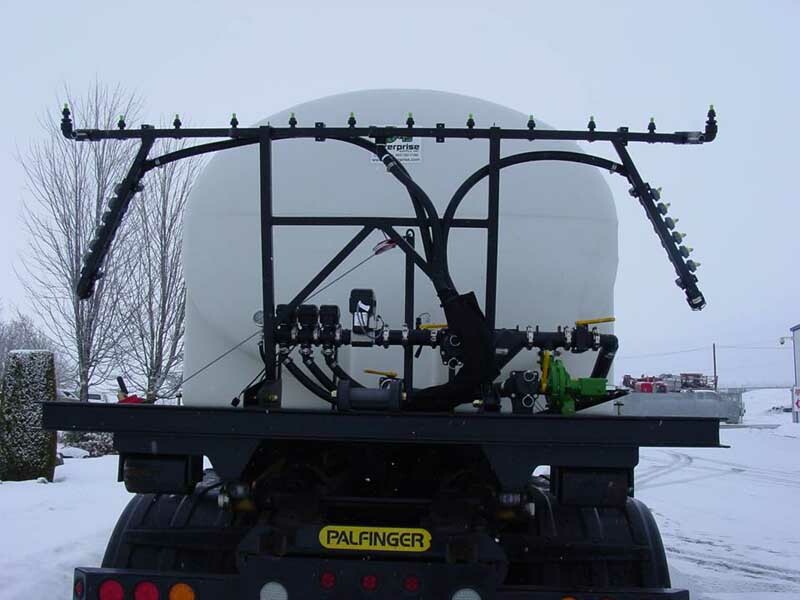 It’s been very busy in the shop this winter at Ag Enterprise Supply, Inc. We recently built this 2,750 gallon hook load de-icer. 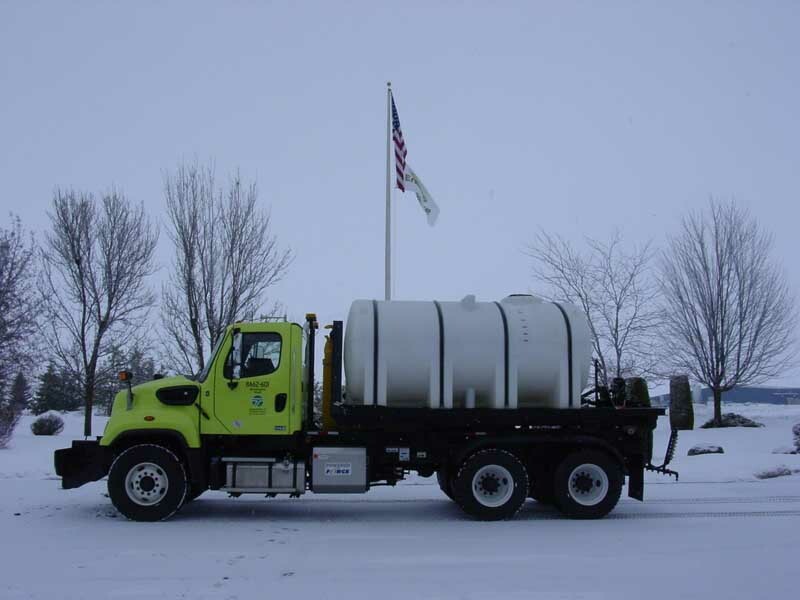 The convenience of being able to convert this truck from a de-icer to a dump truck or road sander is unmatched. One electrical connection and two hydraulic connections and this truck can be changed over to do a different job. Inside the tank is an agitation bar with an eductor installed directed at every leg to keep the product in suspension and from salting out. 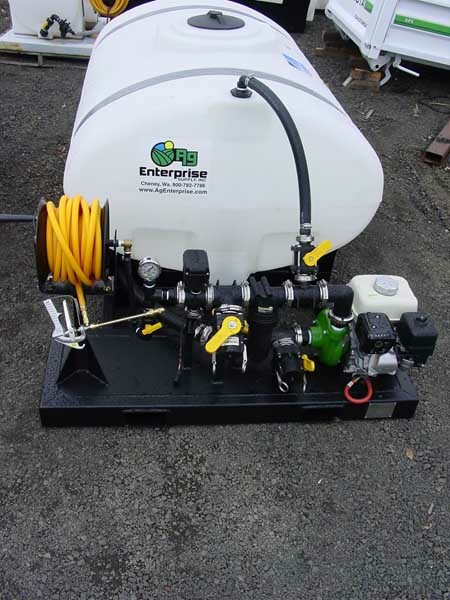 A high flow Ace pump, 2” full port Banjo plumbing and Raven flow controls allow this vehicle to apply 30 gallons per lane mile at 45 miles per hour. 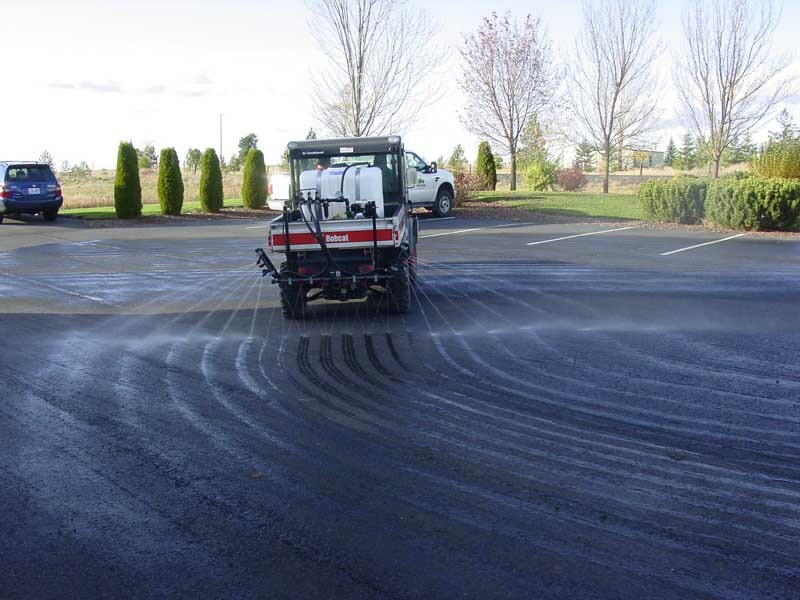 This rate is achieved with each lane of the 3 lane de-ice bar that was installed. A new design is the hand crank raise and lowering system for the spray bar. 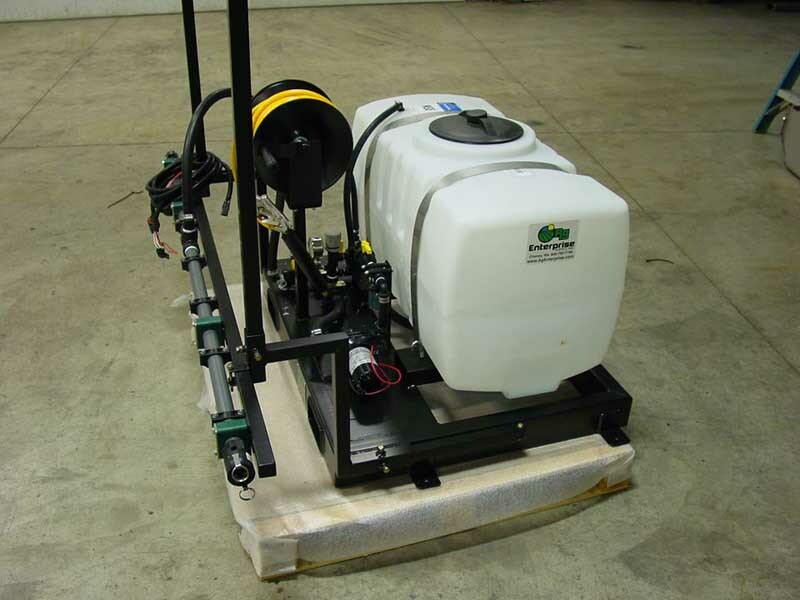 No more sleeved pieces to rust together on this one and it is easier on the operators when they need to remove or install this sprayer. 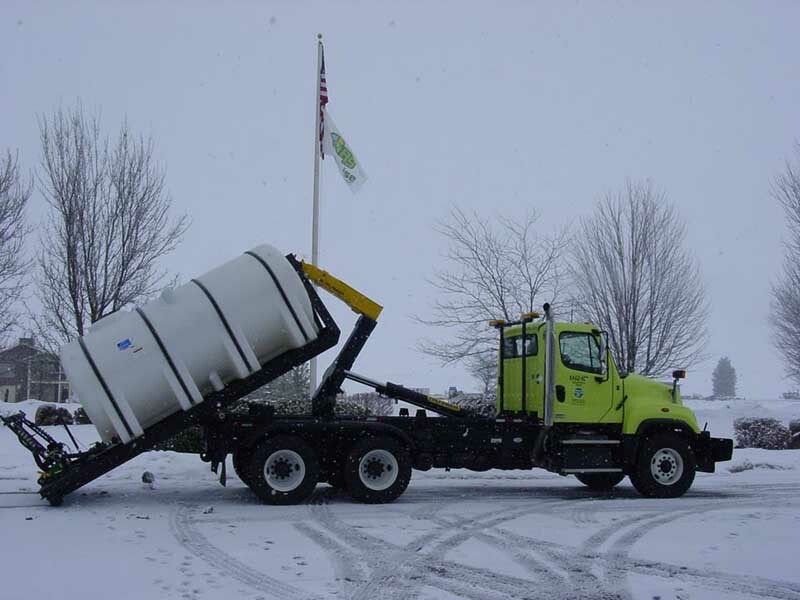 A recent order came to us for 2, 300 gallon pickup de-ice applicators and one, 50 gallon UTV applicator. 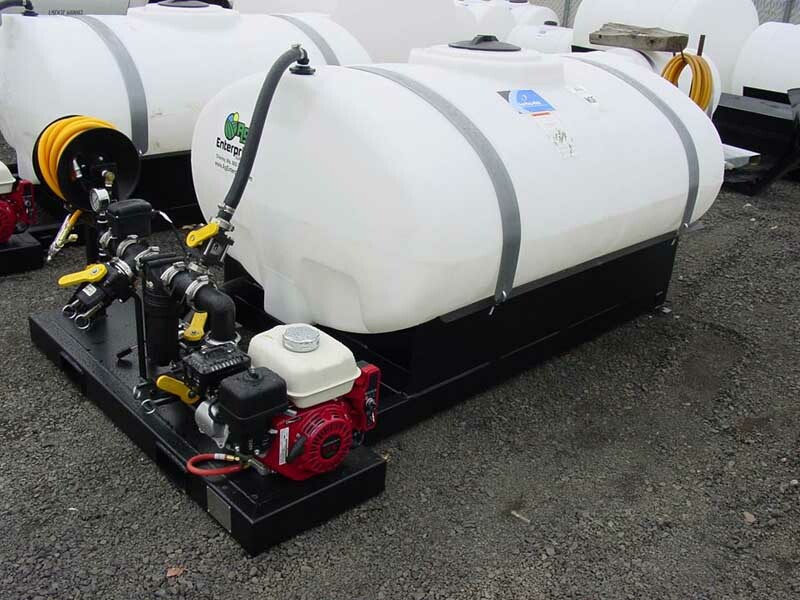 The pickup sprayers have a 300 gallon elliptical Ace Rotomold tank and a 5.5 hp electric start Honda with optional remote start/stop capability. 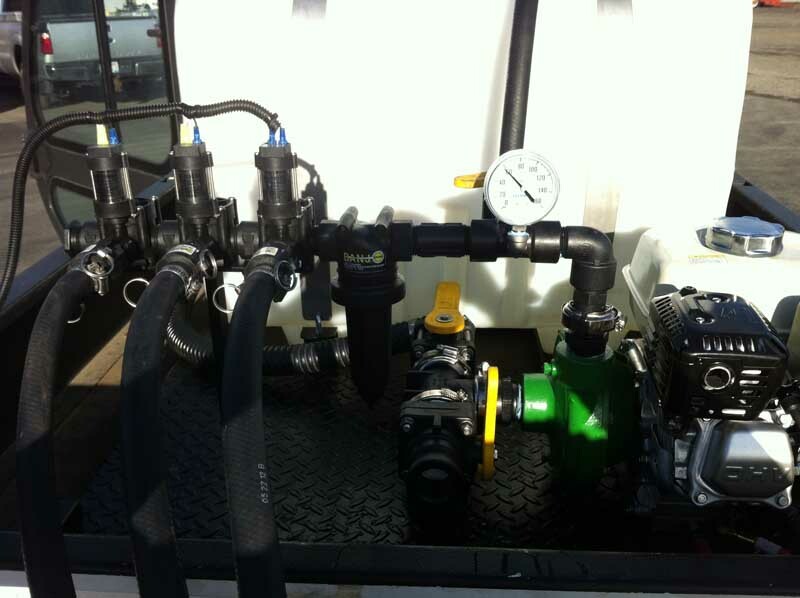 An Ace GE-660 pump provides plenty of flow to the whole system. 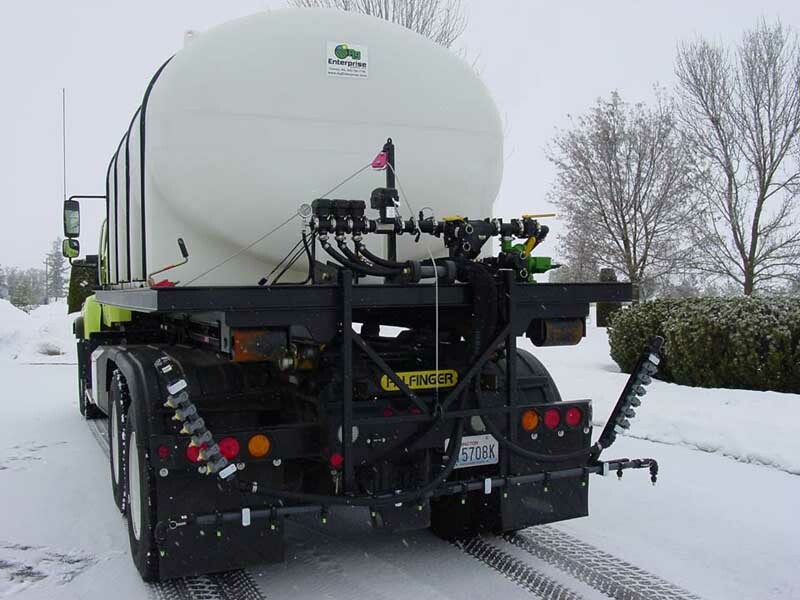 Some de-ice products tend to salt out so twin outlet agitation was installed to the bottom of the tank to keep everything incorporated. Banjo plumbing was used and a Reelcraft spring rewind hose reel added on for entryways and sidewalks. 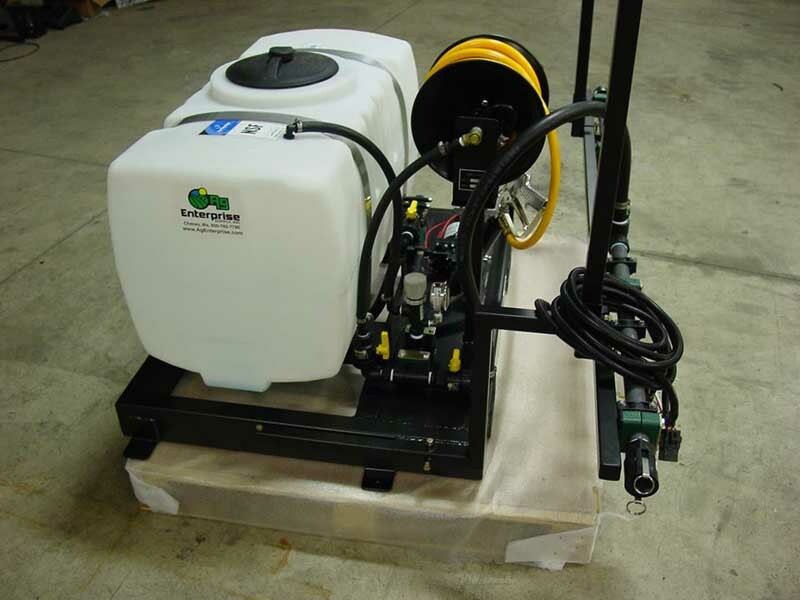 The 50 gallon applicator for the UTV also has and Ace Rotomold PCO tank and Hypro Shurflo 5.3 gpm pump provides the flow to a Reelcraft hand rewind hose reel. The Teejet nozzle bodies are on a custom made 1”, schedule 80 PVC bar with 9” spacing.